For the Democrats to win a majority in the United States House of Representative, a pickup of 23 seats is needed. As things stand now, it appears that the Democrats will exceed that goal by some 13 seats. CPR lists 3 Republican seats as likely to flip to the Democrats while 10 GOP seats are identified as leaning Democratic. On the other side, there is only one district (the newly redrawn PA-14) that is currently held by a Democrat which is "likely" to be won by a Republican. There are no districts held by a Democrat that "leans" to the Republican challenger. Meanwhile there are 31 congressional districts which are listed as "toss-ups." Of those districts, 29 currently have a Republican incumbent. Toss-up districts generally go to one party or the other. Rarely are toss-up districts split down the middle between the parties. The last few elections, about 89% of the toss-ups have gone to the prevailing party in the election. That is a pretty conservative estimate, as things stand today, of how many seats the Democratic Party could win. If the Kavanaugh nomination fails, I could see that energizing Republican voters to help hold down their losses, though stopping the Democrats from taking a majority in the House seems almost out of reach for the Republicans. Where a failed Kavanaugh nomination would help the most in in helping the GOP keep a majority in the Senate by ginning up Republican enthusiasm. That is what the U.S. House races look 40 days out. Bet the farm. As a political nerd, I enjoy watching the various Sunday morning news/commentary shows. My favorite is This Week, at least when George Stephanopolis is hosting. 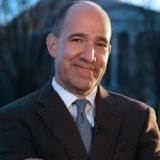 I know Stephanopolis worked for President Clinton, but, despite his liberal personal views, he does an excellent job of bringing balance to his program and has a knowledge for domestic politics that is matched by maybe only Chuck Todd, host of Meet the Press, my second favorite Sunday morning program. agree with Dowd, but I think he approaches issues thoughtfully and with independence. We need more of that from political commentators. Last Sunday though Dowd had an off day. During the panel of This Week, Dowd stated that in any situation in which a man is accused of sexual misconduct by a woman, absent proof of innocence put forward by the man, the woman must be assumed to be telling the truth and the man should be assumed to be guilty. Dowd's reasoning? That for the past 250 years when there has been "He Said She Said" moment, the woman has not been believed. I certainly do not buy Dowd's working assumption. The fact is in the "He Said She Said" cases, there often is no corroborating evidence and credibility of the parties is a draw. It isn't that the woman isn't being believed, but that we don't assume that people who are accused of wrongdoing are guilty. In baseball, the tie goes to the runner. When there is an accusation of wrongdoing, the tie goes to the person accused. That is fundamental fairness because it is virtually impossible to prove a negative, that something did not happen. Setting aside Dowd's faulty working assumption, he is taking the position that a man accused of wrongdoing by a woman should be assumed to be guilty because of how completely unrelated women accusers' allegations have been handled in the past. That is a preposterous position. Just days before his appearance on This Week, Dowd tweeted that Clarence Thomas is a "sexual predator." Merriam-Webster's dictionary defines a "sexual predator" as "a person who has committed a sexually violent offense and especially one who is likely to commit more sexual offenses." Anita Hill's allegation was that Thomas described to Hill scenes he had seen in pornographic movies and asked her for dates. Assuming that those allegations were true (and they were highly disputed) they establish Thomas is a sexual harasser not a "sexual predator." Huge difference. Although I generally agree with Dowd, I felt compelled to let him know he is wrong on the issue. I took to Twitter. When I saw a comment by someone who agreed with Dowd's commentary, I posted this response, which not only went to that person but also Dowd. "So women, unlike men, never lie? That is such an incredibly sexist, denigrating attitude." I then started to write Dowd directly to demonstrate why his position is wrong, i.e. to give him examples of women falsely accusing men. (Maybe Dowd should try talking to some former male Duke lacrosse players?) Before I finished my comment, which took more than one tweet, Dowd blocked me from following him or seeing any of his tweets. Wow. I just assume that people who appear on TV panel discussion shows have thick skins, that they are used to criticism of their views and are willing to listen to alternative views. I especially assumed that was true with regard to Dowd who had criticized Trump for being thin-skinned and for only soliciting positive feedback. (I would link to those many tweets of Dowd's but I'm blocked from doing so.) Dowd clearly does not practice what he preaches. On what little I can see of his Twitter feed via a Google search,, Dowd says he "rarely" blocks anyone on Twitter and only those people who "won't listen to facts." "Won't listen to facts?" Actually that precisely describes Matthew Dowd's approach to the sexual harassment debate. Dowd complains about Trump's dishonesty (rightfully so) while engaging in his own brand of own dishonesty telling Twitter followers he only blocks those not open to an honest discussion of the issues. Clearly Dowd is not going to tolerate any criticism of his views and will shut down anyone who dares to prove him wrong. Dowd is too thin-skinned to take the criticism and feedback associated with being a political analyst. He should consider another line of work. The Kavanaugh Accusation - Is #MeToo Morphing Into #MenGuilty? As the great Yogi Berra used to say, it's "deja vu all over again." Trump Supreme Court nominee Brett Kavanaugh now stands accused of sexually assaulting a woman (girl?) in high school. The accusation came from a woman, a college professor, who originally wanted to remain anonymous, a woman who has now been persuaded to come forward to testify in the Senate Judiciary Committee to testify after testimony in the committee was concluded. I've seen this movie before. 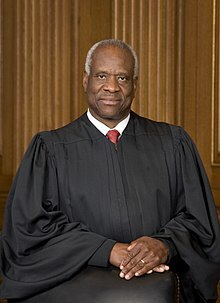 remember, Thomas was appointed to the Supreme Court by President George Bush. The Senate Judiciary Committee spent several days hearing testimony about the appointment. The testimony closed and the committee was set to vote when a previously anonymous accuser, Anita Hill, was encouraged to go publicly forward with her accusation that Thomas Sexually harassed her while she worked for him at the Office of Civil Rights. Supposedly Thomas asked her for dates, described scenes from pornographic movies to her, and once infamously joked that someone had put a pubic hair on his coke can. While those accusations could certainly constitute sexual harassment, they seem mild in a post-Harvey Weinstein era. It should be noted that the Anita Hill accusation was the culmination of a long effort by Democratic partisans to derail the Thomas nomination. Liberal groups had run scores of national ads to get people to come forward to dish dirt on Thomas. Investigators went through Thomas' garbage, obtained a list of his movie rentals. They were ruthless in trying to find dirt to derail the Thomas' nomination. Thomas denied Hill's accusation, declaring it to be a "high-tech lynching," a partisan maneuver intended to keep him off the bench. After a contentious hearing, Thomas ended up prevailing in the U.S. Senate, with 52 Senators voting for his confirmation, including 11 Democrats. In the nearly quarter decade since, the revisionist history line from many of the media is that Anita Hill was "vindicated" and the all male Senate panel at the time was "tone deaf" to Hill's accusations. Utter nonsense. People who sexually harass women, exhibit a consistent pattern of behavior. They just don't confine their lecherous behavior to one woman. Thomas had zero history of harassing women in the work place and scores of women who worked for him came forward to praise him for being an excellent boss who never did anything untoward toward his female employees. In the "He Said She Said" confrontation, the Senate Judiciary Committee, rightly, chose not to assume Thomas was guilty and voted to confirm him.. The additional media narrative is that nothing was "learned" following the Thomas-Hill hearing and the our patriarchal political system continued to march on without missing a step. That simply is not correct. There was indeed a backlash to the Thomas-Hill hearings, a backlash that that in 1992 became known as the "Year of the Woman," featuring women winning elected office in record numbers. During that time frame if a man was accused by a woman of something, he had to be guilty. Why would the woman ever accuse a man falsely after all? The 1992's version of the #MeToo movement, however, reached too far and produced its own backlash, a nearly quarter century during which women's accusations against powerful men were discounted at best, disbelieved at worst. It was an environment in which lecherous men like Bill Clinton, Donald Trump and Harvey Weinstein were able to rise to power despite the very credible women who were willing to come forward and tell their story. Unlike with Thomas and Kavanaugh, Clinton, Trump and Weinstein have exhibited a long pattern of misconduct when it comes to women. I don't know what Brett Kavanaugh did as a high school student in the 1980s. But I do know it is wrong to simply assume that a man is guilty because a woman accuses him of wrongdoing. Believe it or not, women sometimes, for an assortment of reasons, lie. Unless there is some tangible evidence supporting the accuser, one has to give the accused the benefit of the doubt, especially on something that supposedly happened 35 years ago. That is just fundamental fairness. A movement that encourages women to come forward and speak out about sexual harassment and misconduct by male bosses should be encouraged indeed celebrated. But that movement cannot morph into being a "#MenGuilty" movement. For if it does, it is likely to spur another 25 year backlash that hurts, and not helps, women.